Writing about the next ‘social media crisis’ has become a popular mainstay for some journalists, bloggers and media industry analysts. It’s easy fodder. Step one: regularly visit major brands on Facebook or Twitter. 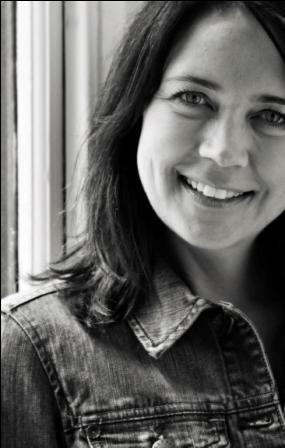 Step two: wait for brand to ask a broad question or kick off an online competition. Step three: wait for any negativity to emerge and take a snapshot of posts. Step four: prep article with ‘crisis’ and ‘social media’ in the headline and tweet the heck out of it. Bonus points if you rehash all the previous ‘social media crises’ in your article, too. It’s always a danger when a brand sticks its neck out and offers the public a chance to communicate on an open network. It’s partly why I wrote Community Management not for the Fainthearted. But a lot of organisations believe that the risks of using social media are outweighed by the benefits (or at least, they intend to operate in the space for a while in order to make a judgement). And communities increasingly expect their brands to be on social media now, for a lot of reasons (some outlined by me in “Social media is its own beast, the Qantas way“). Let’s also consider the vitriol you can experience online, in general. The sarcasm, backlash and venom you see on social media pages is often nothing compared to what we see in online news forums of our daily newspapers. Companies and government departments field complaints every day. They’re received over the telephone, by email, by angry fists slammed on counter tops, direct letters of complaint, letters to the editor and more. The difference with social media, of course, is that the public’s complaining, angst and disgust is played out in a space for everyone to access. Thus, it’s incredibly easy to compile an article that’s 70% republished tweets, then to top and tail it with an intro about brands bumbling on social media and a reminder of past social media ‘crises’. In the meantime, Coles soldiers on. Today there’s a competition on Facebook with 594 likes for one post, and 227 comments of which most are entry contributions. Yesterday it posted a photo of hot cross buns, with 157 likes and 40 comments ranging from positive to complaints, and also a healthy debate about ingredients, freshness, storage and comparisons with other stores. 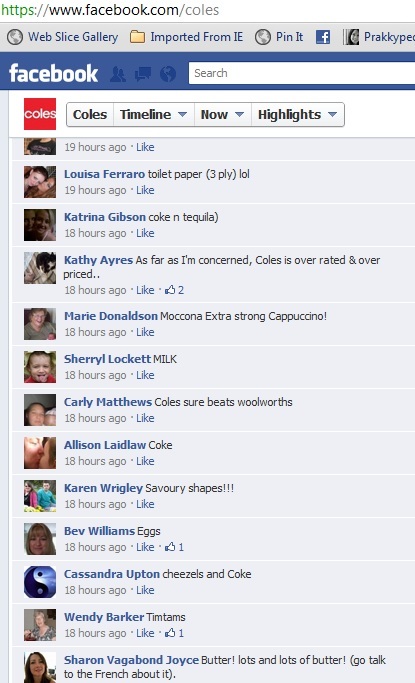 It amounted to some nice pieces of market research and insights for Coles. (Can I say it again? Social media is its own beast!). Sage words though Ms Prak. 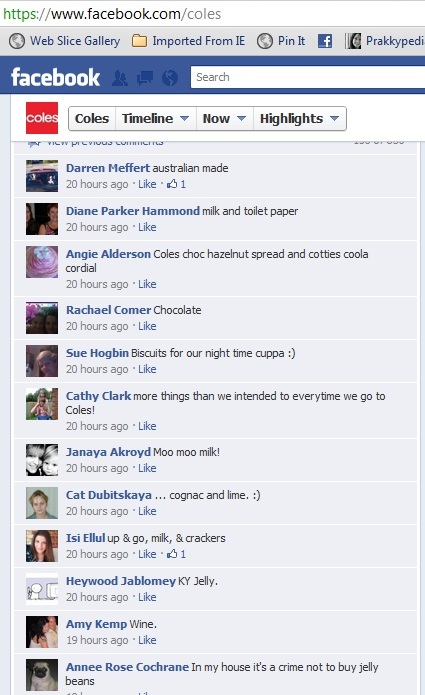 Coles didn’t cop it quite as bad as Qantas, but there was a difference between the tone of responses on Twitter and Facebook. Are people meaner on Twitter? Or is it just that the FB comments can be deleted? Lots of tweets about fair prices for farmers, pokies and independent stores, but I agree it’s still far from a social media crisis. A corporation like that can take some robust discussion. I have been noticing that the level of anti-social media/networking attack adds has inclined slightly over Q1. Considering that parts of the traditional media landscape has been pushing this line for well over two months, it is not surprising it is having difficulty getting traction, as most social media users are savvy to the opportunism of old media when they see it. Thanks for your comment Jerome; let’s look out for the next crises pieces, shall we?